Excavation | Sitework Developing, Inc.
Nearly every construction project starts with excavation and grading, a process that creates a foundation for all future site development. Choosing the wrong company for the job can result in exorbitant costs, prolonged completion and even structural hazards, so you want to make sure you hire experienced professionals. 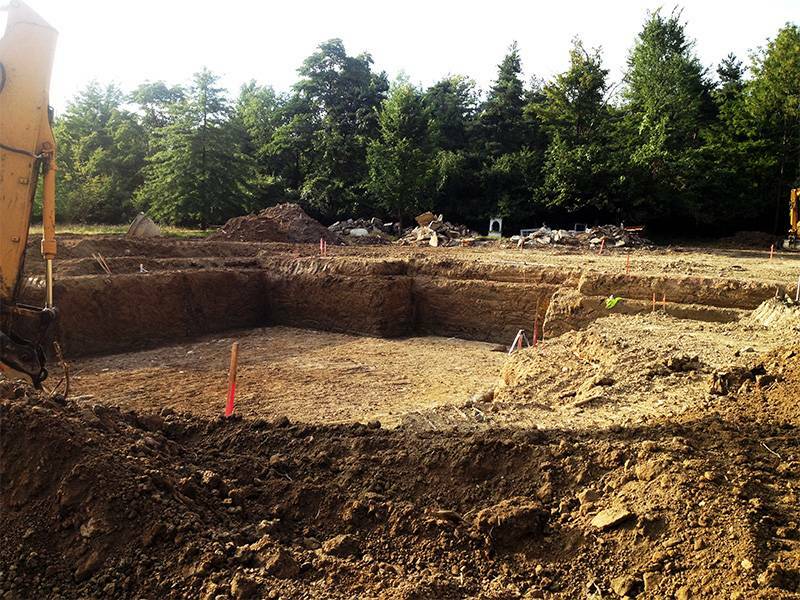 At Sitework Developing Inc, we specialize in and frequently perform various commercial and residential excavations, so you can rest assured that your project will be carried out by experts. From land clearing to finish grading, every job is supervised to ensure competent execution and 100% customer satisfaction.